Language is like ice cream: it’s delicious, it’s addictive, it’s refreshing, and it comes in an enormous number of varieties. Did you know that in my native Italy, where modern ice cream was invented, it is customarily divided into three major categories, depending on how much milk it contains? First of all, there’s sherbet: this is the most ancient kind of ice cream, and it’s basically just flavoured ice. It contains no milk. Then there’s the so-called “frutte” (fruits), which, as the name implies, are exclusively fruit-flavoured, and contain some milk. Finally, there’s the “creme” (creams), such as chocolate, vanilla or hazelnut. These are the true kings of ice cream, and contain the most milk of all. Believe it or not, language is divided in the exact same way, only with morphological complexity (i.e. how many prefixes, suffixes, and word changes they have) instead of milk: language sherbets with little to no morphological complexity are called isolating languages; language frutte, with a moderate amount of morphological complexity, are called fusional languages; and language creme, with lots of morphological complexity, are called agglutinating languages. Let’s look at each kind in a bit more detail. Isolating languages are the simplest languages as far as morphology goes (which doesn’t mean they’re “simple” or “easy” languages though!). In a purely isolating language, words never change form: verbs don’t conjugate for tense or mood (as in love – loved), and nouns don’t decline for number or case (as in cow – cows) or anything else. The answer to this question is that they use context, or, when that fails, they “cheat” by using special separate words which carry grammatical meaning, much like English suffixes do. wǒ sān nián qián chī guo sìshí kuài dàngāo, dùzi téng sǐ la! See? With the use of clever little words like 过guo (which basically means ‘past tense’), there’s no need to conjugate the verb! And the fact that we’re talking about more than one slice of cake is fully conveyed by the number “forty”, relieving the noun of the burden of plural suffixes. The middle children of the linguosphere, fusional languages are probably the most familiar to readers of this blog, and that’s because most European languages, English included, are fusional. Fusional languages have a moderate amount of prefixes and suffixes, such as the un- in unimportant or the -ed in cooked (collectively called affixes), and other morphological tricks up their sleeves, and they particularly like changing the forms of their words without adding stuff to them (à la goose – geese). What they don’t like doing is adding more than one or two extra pieces to their words, which keeps them small and contained. “Well, what if a verb is both past and perfect, or a noun both plural and genitive (possessive)?” I hear you ask. Well, fusional languages have a neat trick to deal with these situations, and that is having a single affix or a word change have more than one meaning. Se Giovanni facesse quelle stramaledette salsiccie, mangeremmo come dei re. Look at those suffixes! The suffix -eremmo in mangeremmo means second person, plural, present and subjunctive2. How’s that for multitasking!? Remember two sections ago when you were wondering how isolating languages managed to work with no affixes at all? Well, that laughter you heard coming from the back of the room were the agglutinating languages, mocking our puny fusional lack of affixation. Agglutinating languages love affixes: the more stuff you can stick to a word, the better. They treat their words like daisy-chains, adding affix upon affix, nevermind how long they end up to be. For agglutinating languages, there’s no need for multitasking in affixes, because you can string as many as you like one after another. An example of an agglutinating language we can find here in Europe is Finnish, which, as everyone knows, is the native language of Santa Claus, or Joulupukki as he’s known up there. Look at that. Eight words in English, three words in Finnish, isn’t that amazing? The word kirjastoissammekin alone means “in our libraries too”, and can be neatly taken apart like this: kirja-sto-i-ssa-mme-kin “book-collection-plural-in-our-too”. If you don’t find that neat, then I frankly don’t know how to impress you. Now that we’ve reached the end of our brief trip through the three morphological types of language, let me quickly go back to my ice cream metaphor to explain an important point about this classification: just as you can mix and match different kinds of ice cream in your cup, languages rarely fit neatly into these categories. Most languages combine characteristics from at least two of these groups, with one being dominant and the others subordinate. For example, it could be argued that English is a fusional language that’s rapidly moving towards becoming isolating; Mandarin Chinese is mostly isolating, but it has some agglutinating characteristics; and Finnish has been known to stray into fusional behaviour from time to time. The takeaway from this is that things in the world are rarely clear-cut, and language is no exception. The following is a list of the abbreviations I’ve used in the glosses for the examples. You can happily and safely skip this if you’re not interested in what the abbreviations mean. By the way, that cool thing in italics I did with the word-by-word translation is called glossing and we use it a lot in linguistics to explain how sentences work in different languages (don’t worry about the PERF.EXCL thing, it doesn’t concern us). The subjunctive is what we in linguistics call a mood, which can be very roughly understood as the way of the verb of telling the listener how factual the information you’re giving them is. The subjunctive indicates that the information is hypothetical. Hello, it’s me, Lisa, again. I just couldn’t stay away! This week, I have been given the challenging task of outlining the subfields of linguistics1. The most common responses I get when I tell people I study linguistics are variations of “What is that?” and “What can you do with that?”. This leads me to explain extremely broadly what linguistics is (eh, er, uhm, the science of languages? Like, how they work and where they come from…. But I don’t actually learn a language! I just study them. One language or lots of them. Sort of. ), and then I describe various professions you can have from studying linguistics. What all of those professions have in common is that I can do none of them, since they are related to subfields of linguistics that I haven’t specialised in (looking at you forensic and applied linguistics). My own specialties, historical linguistics and syntax, lead to nothing but long days in the library and crippling student debt, but let’s not dwell on that. Now ignore that mind-map because it does you no good. It’s highly subjective and inconclusive. However, it does demonstrate how although these subfields are distinct, they end up intersecting quite a lot. At some point in their career, linguists need to use knowledge from several areas, no matter what their specialty. To not wear you out completely, I’m focusing here on the core areas of linguistics: Phonetics and phonology (PhonPhon for short2), syntax, morphology, and semantics. I will also briefly talk about Sociolinguistics and Pragmatics3. Let’s start with the most recognisable and fundamental component of spoken language: sounds! The phonetics part of phonetics and phonology is kind of the natural sciences, physics and biology, of linguistics. In phonetics, we describe speech production by analysing sound waves, vocal fold vibrations and the position of the anatomical elements of the mouth and throat. We use cool latinate terms, like alveolar and labiodental, to formally describe sounds, like voiced alveolar fricative (= the sound /z/ in zoo). The known possible sounds speakers can produce in the languages of the world are described by the International Phonetic Alphabet (IPA), which Rebekah will tell you all about next week4. The phonology part of phonetics and phonology concerns itself with how these phonetic sounds organise into systems and how they’re used in languages. In a way, phonetics gives the material for phonology to build a language’s sound rule system. Phonology figures out, for example, what sounds can go together and what syllables are possible. All humans with a well-functioning vocal apparatus are able to produce the same sounds, yet different languages have different sound inventories; for example, English has a sound /θ/, the sound spelled <th> as in thing, while Swedish does not. 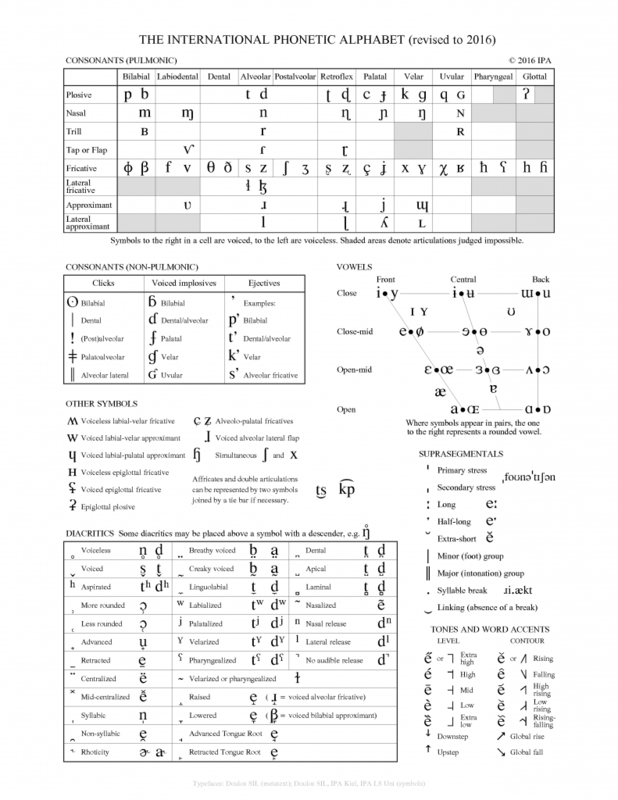 Phonology maps these inventories and explains the rules and mechanisms behind them, looking both within one language and comparatively between languages. Begin where I are doing to syntax explained? Why this madness!, you may exclaim, post reading the above sentence. That, friends, is what it looks like to break syntax rules; the sentence above has a weird word order and the wrong inflections on the verbs. The same sentence obeying the rules would be: Where do I begin to explain syntax? Syntax is one of my favourite things in the world, up there with cats and OLW Cheez Doodles. The syntax of a language is the rule system which organises word-like elements into clause structures based on the grammatical information that comes with each element. In plain English: Syntax creates sentences that look and sound right to us. This doesn’t only affect word order, but also agreement patterns (syntax rules make sure we say I sing, she sings and not I sings, she sing), and how we express semantic roles5. Syntax is kind of like the maths of linguistics; it involves a lot of problem solving and neat solutions with the aim of being as universal and objective as possible. The rules of syntax are not sensitive to prescriptive norms – the syntax of a language is a product of the language people actually produce and not what they should produce. Morphology is, roughly, the study of word-formation. Morphology takes the smallest units of meaningful information (morphemes), puts them together if necessary, and gives them to syntax so that syntax can do its thing (much like how phonetics provides material for phonology, morphology provides material for syntax). A morpheme can be an independent word, like the preposition in, but it can also be the -ed at the end of waited, telling us that the event happened in the past. This is contrasting phonology, which deals with units which are not necessarily informative; the ‘ed’ in Edinburgh is a phonological unit, a syllable, but it gives us no grammatical information and is therefore not a morpheme. Languages can have very different types of morphological systems. English tends to separate informative units into multiple words, whereas languages like Swahili can express whole sentences in one word. Riccardo will discuss this in more detail in a few weeks. Semantics is the study of meaning (she said, vaguely). When phonetics and phonology has taken care of the sounds and morphology and syntax have created phrases and sentences from those sounds, semantics takes over to make sense of it all – what does a word mean and what does a sentence mean and how does that interact with and/or influence the way we think? Let’s attempt an elevator pitch for semantics: Semantics discusses the relationship between words, phrases and sentences, and the meanings they denote; it concerns itself with the relationship between linguistic elements and the world in which they exist. (Have you got a headache yet?). If phonetics is the physics/biology of linguistics and syntax is the maths, Semantics is the philosophy of linguistics, both theoretical and formal. In my three years of studying semantics, we went from discussing whether a sentence like The King of France is bald is true or false (considering there is no king of France in the real world), to translating phrases and words into logical denotation ( andVP = λP[λQ[λx[P(x) ∧ Q(x)]]] ), to discussing universal patterns in linguistics where semantics and syntax meet and the different methods languages use to adhere to these patterns, for example how Mandarin counts “uncountable” nouns. Pragmatics follows semantics in that it is also a study of meaning, but pragmatics concerns the way we interpret utterances. It is much more concerned with discourse, language in actual use and language subtexts. For example, pragmatics can describe the mechanisms involved when we interpret the sentence ‘it’s cold in here’ to mean ‘can you close the window?’. Sociolinguistics has given me about 80% of my worthy dinner table conversations about linguistics. It is the study of the way language interacts with society, identity, communities and other social aspects of our world, and it also includes the study of geographical dialects (dialectology). Sociolinguistics is essentially the study of language variation and change within the above areas, both at a specific point in time (synchronically) and across a period of time (diachronically); my post last week, as well as Riccardo’s and Sabina’s posts in the weeks before, dealt with issues relevant for sociolinguistics. Is this strange spelling variation found in this 16th century letter because it was pronounced differently (phonetics, phonology), and if so, was it because of a dialectal difference (sociolinguistics)? Or, does this spelling actually indicate a different function of the word (morphology, semantics)? What caused this strange word order change starting in the 14th century? Did it start within the syntax itself, triggered by an earlier different change, or did it arise from a method of trying to focus the reader’s attention on something specific in the clause (information structure, pragmatics)? Did that word order arise because this language was in contact with speakers of another language which had that word order (sociolinguistics, typology)? To summarise, phonetics and phonology gives us sounds and organises them. The sounds become morphemes which are put into the syntax. The syntactic output is then interpreted through semantics and pragmatics. Finally, the external context in which this all takes place and is interpreted is dealt with by sociolinguistics. Makes sense? There is so much more to say about each of these subfields; it’s hard to do any of them justice in such a brief format! However, the point of this post was to give you a foundation to stand on when we go into these topics more in-depth in the future. If you have any questions or anything you’d like to know more about, you can always comment or email, or have a look at some of the literature I mention in the footnotes. Next week, Rebekah will give us some background on the IPA – one of the most important tools for any linguist. Thanks for reading! 1I had to bring out the whole arsenal of introductory textbooks to use as inspiration for this post. Titles include but are not limited to: Beginning Linguistics by Laurie Bauer; A Practical introduction to Phonetics by J.C. Catford; A Historical Syntax of English by Bettelou Los; What is Morphology? By Mark Aronoff and Kristen Fudeman; Meaning: A slim guide to Semantics by Paul Elborne; Pragmatics by Yan Huang; and Introducing Sociolinguistics by Miriam Meyerhoff. I also consulted old lecture notes from my undergraduate studies at the University of York. 2This is of course not an official term, just a nickname used by students. 3We’ll hopefully get back to some of the others another time. For now, if you are interested, a description of most of the subfields is available from a quick google search of each of the names you find in the mind map. 4If you want a sneak peek, you can play around with this interactive IPA chart where clicking a sound on the chart will give you its pronunciation. 5This is more visible in languages that have an active case system. English has lost case on all proper nouns, but we can still see the remains of the English case system on pronouns (he–him–his). Hello HLC readers! I’m Lisa, I’m a Swede (this kind, not this kind, and hopefully never this kind) but I live in Scotland, and I’m here to talk to you about the differences between languages and dialects. Now, the title of this post, “A language is a dialect with an army and navy”, should have made everything clear, so that will be my contribution for today. I’m so not done. The title quote was made popular by the sociolinguist, and Yiddish scholar, Max Weinreich (in Yiddish, with Roman letters: a shprakh iz a dialekt mit an armey un flot)1. This particular quote has been passed down to me on average once per each course I’ve taken in my four years of studying linguistics, which either tells you 1. Linguists are in serious need of new content, or 2. This is probably important for budding linguists to discuss. Both might be true in some cases, but most of the time 2 is the correct answer. We will need to tread carefully, and I don’t intend to make any political statements, but simply to shine some light on the complexity of the matter which, in fact, is often highly political. One final disclaimer: This is a really difficult topic to summarise. Bear with me. For some of you reading, the question of what is and isn’t a language is probably something you haven’t thought about a lot. Some of you may think that the distinction is clear-cut; a language is distinct, it’s not similar to or dependent on anything else, and a dialect isn’t. You may even say that dialects are clearly sub-languages, because of the very way we phrase “dialects of a language” to imply that dialects belong to a language and not vice versa. Further, dialects are mutually intelligible (i.e. speakers of different dialects of one language can understand each other), which is not the case with languages. This is not exactly wrong, it’s just overly simplified. First of all, if mutual intelligibility is a dialect criterion then my native Swedish could arguably be a Scandinavian dialect rather than a proper language – I, like most Swedes, understand Norwegian very well, and to some extent Danish, if spoken slowly (I’m currently working on my spoken Danish comprehension by watching both the Bridge and the Killing… My crime vocabulary is looking pretty solid by now). However, a lot of Swedes would not be thrilled to be told that their language is a dialect, and it does feel counter-intuitive to call it one. On the other hand, there are agreed-upon dialects that are not mutually intelligible. Why are the dialects of, for example, Italian still called dialects, despite speakers of, for example, Emilian and Sicilian not being able to understand each other2 , while Norwegian and Swedish are officially agreed upon to be different languages? Also, what makes people call Catalan a dialect of Spanish (Don’t shoot the messenger! ), or Cantonese a dialect of Chinese? Can you see a pattern forming? I’ll spell it out: The term language is most often, but not always, awarded to those “dialects” that have, or have had, official language status in a country, i.e. the dialect of those in power. The term dialect, or lect, is sometimes used neutrally in linguistics to cover both official languages and dialects, but there is another term which is also used that I like more: variety. Variety is less socio-politically charged, and I use it all the time to avoid having to make a language/dialect distinction when I talk about linguistics. There are, however, exceptions to the ‘official language’-criterion. If we go back to Spain, for example, no one would argue that Basque is a dialect of Spanish because Basque looks and sounds nothing like Spanish at all (or maybe some would argue this, but could we all agree that this is an unusual opinion?). So, there must be an element of likeness, or similarity, involved. Preferably the variety in question would be a part of the same language family3 – this could be why no one argues the language status of indigenous varieties, like Sami varieties in northern Scandinavia or the various native American varieties like Navajo and Cree. Is this variety an official language of a country? Is the variety distinct in terms of likeness to the official language of that region? Recall what was said above about indigenous languages. Is this variety considered an example of how that variety should be spoken, i.e. a standard variety, that also has sub-varieties (dialects) that diverge from that standard? An example: British English has a standard, sometimes called BBC English, or RP, but also a plethora of quirky dialects like Geordie, Scouse, Scottish English, Brummie, etc., all still considered to be English. Does it have an army and a navy? We can see that the term language is strongly connected to the status a variety has in a nation, it is a term that is awarded or given. When we attempt linguistic distinctions between languages and dialects, things get confusing really quickly. Is differing syntax, for example word order differences, more distinguishing than differing vocabulary? Norwegian and Danish have largely similar vocabularies, but very distinct pronunciations, so how does that factor in when we determine whether they are distinct languages or dialects of one variety? How much is the mutual intelligibility due to close contact, rather than actual similarities4 – do I understand Norwegian well because I grew up a couple of hours from the border to Norway, or because Norwegian and Swedish are so similar? It is also relevant to talk about the historical perspective (after all this is is the Historical Linguist Channel). To throwback to Rebekah’s post last week, we know that English has changed a lot since the Anglo-Saxon times. We all tend to agree that Latin is one language distinct from Spanish, French, Italian, Portuguese and Romanian, but we also know that these languages all originate from Latin. What about English then? Old English and Present Day English look different enough that we could happily call them distinct languages, but what about Early Modern English? When do we say a variety has diverged enough from its parent language to be considered a language in its own right? Is my grandmother’s sister, my great-aunt, a part of my immediate or extended family? Well, that often depends on my relationship to my great-aunt, which brings us back to the subjectivity of the question. The point I’m trying to make with these confused ramblings is that the term language cannot be defined linguistically, but is a wholly social and political term. The people of Montenegro generally refuse to recognise their variety’s similarity to Serbian, despite the varieties being largely indistinguishable – they speak Montenegrin. Knowing the history of the region though, we might be able to see where the Montenegrians are coming from, why it feels important for them to distinguish themselves as a people through their language5 . When we discuss what a language is, it’s important to keep in mind what the term means for the people who use it. Our language is tightly connected to our sense of identity; this is one reason why we’re so reluctant to see it changing or being used in a way we perceive as wrong (throwback to Sabina’s and Riccardo’s posts). The term dialect is somehow seen as inferior to language, and thus the terminology becomes a much larger issue than any linguistic definitions we can make. Related to this issue are topics like standardisation (mentioned above), minority languages, and the idea of debased English. The latter two are also upcoming topics. In future posts, I will be addressing a variety that is my special interest, Scots 6, which is particularly affected by the issues discussed here. Scots is a Germanic variety spoken in Scotland, which is closely related to English but is still distinct from English (much like Swedish and Norwegian). 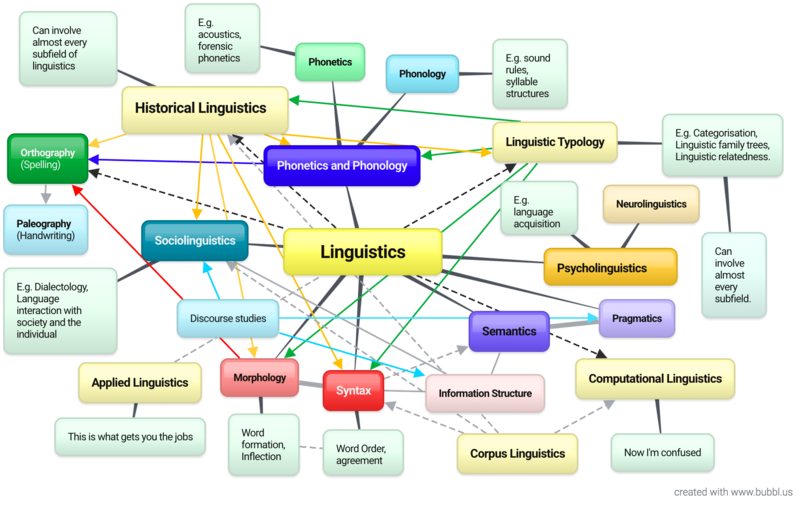 First, however, I will be back next week to outline the main disciplines that fall under the umbrella of linguistics. 1He didn’t utter the quote first though, but an auditor in one of his lectures said it to him. I recommend reading about the situation on Wikipedia. 2Ask Riccardo about this issue and your evening entertainment is sorted. 3“Language family” is the name given to a group of languages which share an ancestor. We will dedicate more time to this topic at a later point. Meanwhile, you may admire this beautiful Indo-European and Uralic family tree. 4These and other questions are addressed by linguistic typologists, who try to map the languages of the world, categorise them and determine their relatedness. 5This fact was brought to my attention by a student from Montenegro during the course Scots and Scottish English, taught by Dr. Warren Maguire at the University of Edinburgh. A lot of the discussions we had in that course have provided background for the arguments and questions presented here. 6The Angus Macintosh Centre for Historical Linguistics have made brilliant videos explaining the history of Scots, in both Scots and English. I strongly recommend watching these! When I was a teenager, one of my favorite things was the part of the dictionary where it tells you the history of the word. “And Latin bos begat Old French boef, and Old French boef begat English beef.”1 (Okay, that’s not how they phrase it. Also, this area of study is called etymology.) Then, my senior year in high school, while I was applying to colleges, I learned you could actually major in that. Somehow, I had never heard of linguistics before. Of course, there’s a whole lot more to linguistics than just where words come from. There’s how the words fit together to form sentences, and there’s the 7,000+ languages in the world and how they’re alike and how they’re not, and there’s all these crazy sounds our mouths can make to combine in a billion different ways and become human speech. Them: Oh, that’s cool. So you like Shakespeare? Dinosaurs lived during the Mesozoic Era, a 186-million-year period of geological time further subdivided into the Triassic, Jurassic, and Cretaceous periods.2 I’m about to painfully rewrite your childhood, so sorry in advance. Littlefoot, lovable hero of The Land Before Time, was either a brontosaurus or an apatosaurus. These titanic, long-necked herbivores lived in the Late Jurassic. Cera, Littlefoot’s triceratops best friend, would have lived during the Late Cretaceous—some 77 million years later. As long-distance, time-traveling romances go, it’s arguably a little more problematic than The Lake House. Not least because dinosaurs didn’t have mailboxes. As appealing as it is to imagine all our favorite dinosaurs living together as one big happy family, 186 million years is a long time for everything to stay the same. Likewise, as easy as it is to think that English is English, always has been and always will be, languages grow and evolve, too. (Sabina talked about this a little last week.) No matter how different they became, though, from the time they emerged in the Late Triassic until they disappeared at the end of the Cretaceous, dinosaurs were still dinosaurs. It’s kind of the same with languages. A lot of the dinosaur species people are most familiar with—triceratops, hadrosaurs, velociraptors, and Tyrannosaurus rex, to name a few—lived during the last period, the Cretaceous (yep, Jurassic Park is a bit of a misnomer). This was the period of greatest dinosaur diversity. The latest period of English is called Modern English, and it’s the one you’re probably most familiar with. It started in roughly the late 1400s and runs up to the present. This, too, is a period of impressive diversity, with distinct varieties of English spoken around the world, from Australia to Canada, from India to England, and everywhere in between. As far as literature goes, a lot of the famous English-language works considered part of the Western canon were written during this time, including the works of William Shakespeare, Charles Dickens, Mark Twain, and many others. There are also contemporary works like those of Stephen King, Nicholas Sparks, and Dr. Seuss—all those books, magazines, and newspapers filling up your local library (if you happen to live in an English-speaking country). Of course, no matter how awesome it would be to see a rap battle between Shakespeare and Dr. Seuss, even the casual reader will flag their writing as seeming like not quite the same language. As mentioned earlier, Modern English can be separated into Early and Late, with the divide being marked at about 1800. Period distinctions like this are the result of shifts in grammar, pronunciation, and word stock throughout the language, though the specific dates often coincide with historical events that had a widespread impact on culture. (Like the mass extinction events that separate the different periods of the Mesozoic Era. But somewhat less catastrophic.) In the case of Modern English, the starting point is often cited as 1476, the year William Caxton introduced the printing press to England. The ability to mass produce written materials would have a profound effect on literacy and the dissemination of linguistic features. In 1776, the American colonies declared independence from England. Some consider the American Revolution the start of Late Modern English and a period of globalization for the language, as over the following decades the British continued to spread their language, colonizing places like Australia, South Africa, New Zealand, and India. As useful as dates like these can be for roughly marking linguistic time, languages unfortunately don’t work like that. The line between one stage of English and another isn’t as clear cut as turning over a page of your Gregorian calendar on January 1st and magically finding yourself in a new year. Linguistic shockwaves and subtle nudges take time to spread. A great example of this is Middle English. Chaucer died in 1400, and his language was that of the latter end of Middle English. Works from Early Middle English are rare, but one very important one is the Peterborough Chronicle, a historical record periodically updated with the important events of each year up to 1154. It only takes a little squinting to recognize Chaucer’s language as an earlier form of English, but the Peterborough Chronicle starts to look like it was written in a different language entirely. If Chaucer was writing in a kind of pre-Shakespeare, the Peterborough Chronicle was written in a kind of post-Anglo-Saxon, two ends of a transitionary continuum. Due to the nature of the Peterborough Chronicle itself, we can watch the language gradually change in the time between entries. how those princes did valor. This was the language of the Germanic tribes who migrated to Britain and displaced the Celts, the peoples who would become the Anglo-Saxons. The Beowulf poem began as part of an oral tradition and was later written down. In style and content, it’s somewhat like the Norse Eddas, which perhaps isn’t surprising considering the Anglo-Saxons shared a Germanic heritage with the Vikings and continued to have contact with them after settling Britain (both friendly and not so friendly). Old English manuscripts show a people transitioning from paganism to Christianity, a warlike people with an awful lot of synonyms for “sword” and “kill,” but also a cultured people with a sophisticated poetic meter and a penchant for alliteration. Shakespeare was a long way down the road. The story of English is far from over. It’s still being written all around us. As I said, language is in constant flux, and it can be hard to know when to say, “Hang on a second. I think we’ve stumbled into a new stage of English!” Linguists today are even starting to distinguish the most current English, the one we’re speaking right now (and tweeting at each other and scribbling down on post-it notes and dropping in beats in epic rap battles), with the appellation Present Day English, leaving Shakespeare and Dickens and all the rest a little farther in the past. Next week with Lisa: As hard as it is to say when a language has entered a new stage of its evolution, one of the most complicated questions facing linguists is the problem of where to draw the distinction between a language and a dialect. What makes something a separate language rather than just a variety of another? When do we say a dialect has diverged enough from its parent language to be considered a language in its own right? Algeo, John & Thomas Pyles. 2005. The origins and development of the English language, 5th edn. Boston: Thomson Wadsworth. 2General information about dinosaurs was found on Wikipedia & from the article “Learn about the different dinosaur periods” at ThoughtCo. 4Mitchell, Bruce & Fred C. Robinson. 2012. A guide to Old English, 8th edn. Chichester, West Sussex: Wiley-Blackwell.